Quality Heating & Cooling Services in Madison, WI Since 1949! *Authorized White Mountain Hearth Dealer* Together with our staff, vendors, friends and family, we’ve been able to sustain a company that has always been focused on our customer’s needs. For this to happen we hold firm in the importance of supporting and taking good care of our staff. We believe in a quote from Simon Sinek, who wrote, “Customers will never love a company until the employees love it first.” It all starts at the core. From there, after more than 60 years serving Dane County, gratefully, we’re able to continue the journey. Our home is located at 87 West Beltline Hwy, in Madison. If you are ever near us, please stop by. We have Wisconsin’s premier heating and cooling showroom. It features fully functioning furnaces, air conditioners, radiant heat, and water heaters. In need of a fireplace? We’ve got that, too. We are also a Carrier Distinguished Dealer, a celebrated award offered to very few dealers. It’s a reflection of our commitment to serving you, our customer. Our Vision, Our Mission. 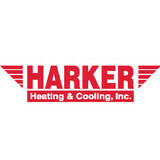 Harker Heating & Cooling champions a safe, secure, healthy and happy work environment for our staff. Our vision has always been to attract and attain the best talent in the marketplace, so we can deliver the very best service to our customers at a fair and value driven price. 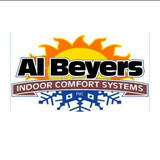 Al Beyers, Inc-Indoor Comfort Systems is a company with a solid background spanning three generations. Our success has been built on the basic premise of hard work and dedication. Bethke Heating & Air Conditioning, Inc.
BETHKE Heating & Air Conditioning, Inc. specializes in heating, cooling, and indoor air quality solutions for residential customers and small commercial clients. In business since 1989, we serve Madison, Verona, and surrounding Wisconsin communities. 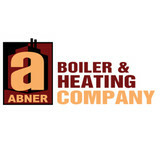 If you’re looking for a reputable company for heating and air conditioning in Madison, WI, Abner Boiler & Heating Company is the answer. Ever since Abner Boiler was founded in 1961, we’ve been dedicated to offering customers exceptional services at unbeatable prices. Following five decades of success, our family-owned and operated business is still thriving. We’ve learned that dedication to our customers and our craft is the secret to success. Quigley Smart Heating & Cooling offers expert services to Beloit, Janesville, and the surrounding areas. With 14 radio dispatched vehicles, five heating/air conditioning service technicians, six sheet metal installers, five plumbers and four office personnel, we can handle it all! Pointon Heating and Air Conditioning boasts 200 years of experience with knowledgable and expert technicians. With our exceptional products and services, we're dedicated to improving your quality of life. Our honest and trusted team members are here to make sure the comfort of your home or office is what it should be. Our technicians have a combined 200 years of experience in heating and air conditioning services, setting us apart from our competitors. You can be sure every heating and AC project is done right by one of our knowledgeable technicians. We currently have two locations in Baraboo and Portage, allowing us to provide service to a large area. We proudly offer services to areas including Sauk County, Columbia County, Juneau County, Adams County, and Marquette Counties. Aprilaire provides superior indoor air quality solutions, for new and old, that empower homeowners to achieve better health, total comfort and energy efficiency while protecting their homes and families. Madison Heating and Cooling provides HVAC services to the Madison area. These services include installation, maintenance, and repair work for both residential and commercial establishments. E&W Heating and Air Conditioning Inc. is a family owned and operated business, founded in 1956 by Emmett and Wayne Ward (father & son), and have been installing radiant heating from day one. With knowledge and skills passed down from generation to generation, E&W is a leader in the challenging and exciting world of hydronic radiant technology. The E&W team now consists of Wayne's two eldest sons, Michael and Gregory, along with a talented group of hydronic enthusiasts. E&W is proud to serve the community with a commitment to consumer service, continuing education, modern technology and a traditional pride in craftsmanship. Top Hat History Established in 1981, Top Hat has grown from a chimney sweeping business to a 6 division operation, including Heating & Cooling, Fireplace/Stove Retail, a Service Department as well as Chimney Sweeping, Restoration and Repair, and Solar Systems. We have a huge selection of hearth products gas, electric, wood and pellet. Because of the importance of safe and proper installations, our installers acquire training and certification through the National Fireplace Institute for fireplaces and stoves, as well as through the National Association of Technical Excellence for heating and cooling. Top Hat Heating and Cooling is a Bryant Medal of Excellence Pinnacle Award winner, the top level award given out by Bryant. To win the award, you need to be a factory authorized dealer and have won Bryant’s top Medal of Excellence award five times. At Absolute Comfort Heating and Cooling we provide affordable air conditioning repair services along with budget friendly HVAC maintenance. When you think AC, we do it! We have been in business for many years and have exacted quality in all of our jobs. We provide a ONE HUNDRED PERCENT Satisfaction Guarantee. We supply a sense of professionalism that is unequalled to other companies. You will obtain devoted service from a knowledgeable group of HVAC contractors. All our heating and air conditioning service professionals are licensed and insured. Absolute Comfort Heating and Cooling offers not just the best ac repair services, but a devoted HVAC installation team and a dedicated maintenance team. Call us today at (262) 686-1099! At Sure-Fire, we realize that more goes into a mechanical system than just heating and air-conditioning equipment, and that the lowest cost solution doesn’t always represent the best value. From an accurate heating and cooling load estimate, to proper equipment selection, all the way through design, fabrication, and installation of a custom duct system, your purchase will live up to your expectations for personal comfort, operating efficiency, and long-term reliability. Manufacturer of decorative floor and wall registers. Four Seasons Heating & Cooling, Inc.
Four Seasons Heating & Cooling Inc., has been serving Oregon / Madison, Wisconsin and surrounding areas, since 1946. Our experts have more than 60 years of experience in the heating, cooling and indoor air quality fields to provide you with the services that you deserve. OK Heating & Air Conditioning, Inc.
At OK Heating & Air Conditioning, we strive to provide a comprehensive list of services for our customers. This includes system design and installation for new construction or remodel projects, as well as maintenance and repairs on existing equipment. We do free estimates for your new home, replacing worn and outdated equipment and/or add on equipment. We also offer annual membership in our “Comfort Care” program. Regular maintenance on your HVAC equipment is required to guarantee that your equipment is running at peak efficiency and safety, and that all warranties will be honored. As a member of this program, you will be able to take scheduling your furnace and air conditioner maintenance off of your “To Do List”. We will add you to our list of customers to call biannually to schedule maintenance, usually during our “off-peak” season(s). This allows us the opportunity to offer you a discount on any repair(s) that may be necessary and to guarantee that you will never be charged overtime or weekend rates for any emergency service. Generally, Fitchburg HVAC contractors or HVAC technicians work with or run companies that repair or install heating systems and air conditioning units for homes. But they have specialized services too. For example, if you are a wine collector and you are thinking of installing a wine cellar in your Fitchburg, WI home, you might hire a Wisconsin HVAC professional who specializes in refrigeration work. HVAC professionals can use their skills to help you to save money on your Fitchburg, WI home’s energy bills by installing radiant barriers in your attic or split-zone heating and cooling systems to heat rooms like solariums while cooling upstairs bedrooms during warmer temperatures. If you or a family member suffers from allergies, you’ll want to find a Wisconsin HVAC technician who is knowledgeable about the latest cooling and heating products that include antiallergen filters. Contractors who work in the HVAC industry keep up on the latest in heating and air conditioning technology so outdated or troublesome systems can be retrofitted with newer, more energy-efficient models. Some of these professionals may work with your contractor, builder or other home improvement professional to get the job done. Find HVAC contractors on Houzz. Look in the Professionals section of our website and search for Wisconsin HVAC contractors. Read reviews and see how an HVAC contractor might approach your Fitchburg, WI home’s heating and cooling challenges.